@MatthewK thanks - I have two workarounds in mind, and one is basically a less noticeable version of this - but I'm hoping this works. No issues so far - it was switching every minute or so previously, so this is definitely better so far. Please let me know if I can provide any more feedback. Thanks for your responsive help! I teach neuroscience and the regulation of sleep and I always recommend this to my students. @MatthewK great - keep us posted! All has been well across the day, and it's now shifting for sunset as it should. Thanks again. Sorry I missed the tip at the top of the page, but for some reason that post doesn't always display when I visit this thread. Okay I have posted a beta: 37.5, which will now try to flush settings into the system periodically. This shouldn't be noticeable, and it should be a lot more efficient than 36.6 was. Hope this fixes everyone. Let me know. I have made this the main download on the site. @herf do we need to update to the latest version when we are using older versions of OS X (Yosemite and mountain lion)?? If not, I shouldn't be getting continual notices to update. Our updater isn't sophisticated enough to say "If you're on Yosemite and have a really old version, offer an upgrade, but if it's a minor change, don't say anything" but that would be nice, huh? @herf thanks . 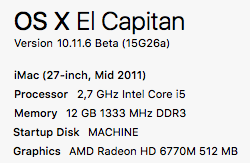 So I don't need to update, but if I do there are some small fixes that would work/help EVEN on older OS X versions as well? Hello, I updated to 37.5 today. Did anything get added that checks the color profile every once in a while? I'm having an issue with my video card drivers where every time the color profile is changed my cursor jumps a little. It's not so much of a problem with flux since I can just enable fast transitions. But if I don't my cursor will be jumping around the screen like crazy during a transition. But I noticed that after this update my mouse jumps a little every 10 minutes or so. Is this correct or could it be caused by another application? @Jespertheend Yes that would be the new build. Which GPU and Mac are you using? Previously: El Capitan's automatic brightness has been restoring old f.lux profiles and not letting us know, so we made this build to try to actually make the screen come back to daytime mode. We can do a little bit less though. @herf I'm using a nvidia gtx 980 ti on a hackintosh. So it's a bit of a special case. But I remember having the same issue on my old iMac as well. An option to disable the checks would be nice, but I understand that you don't want to clutter the UI. Is it possible to check if the system has the wrong color profile and only change it when it actually does have the wrong profile? @Jespertheend actually this is what we have always done. 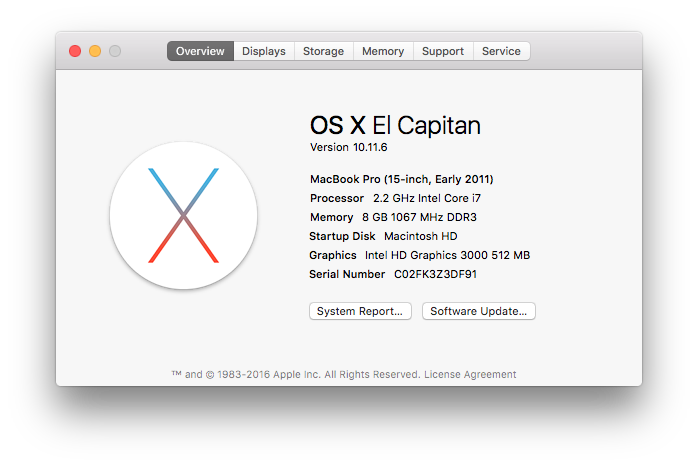 The bug that has been breaking us on El Capitan is when the OS reports that nothing has changed, but it actually has. Will make an option to do a little less. @herf ah I see, thank you that would be nice. It's not impossible to work with but every once in a while your cursor just ends up where you didn't intend to put it. @Jespertheend Ok I pushed a build that makes the behavior slower and adds a pref to disable it. @herf ah, I hadn't thought about that. This way the UI is still clean, nice! @herf hmm it seems like I'm still having the issue. But I believe it only happens after 5pm or so. F.lux 37.5 and 37.6 ignore the "Disable for" any of my apps; though it sometimes works on the initial start of the app, but as soon as I switch to another app and back it stops working. Even the "Disable for an hour" doesn't work anymore. In both cases a notification is displayed, saying that it's deactivated, unfortunately it's not. Reinstalling F.lux, restarting of Mac didn't help. Furthermore, the change between active and disabled state of these versions is abrupt. Previous versions had a smooth transition in both directions, activating and inactivating F.lux, now its instantaneous.